Olney showed no mercy against Vipers on Saturday, beating them 41-20 in Leicester. The visitors were soon ahead courtesy of a try from skipper Jack Sutton, which was converted by James Hawken to put Olney 7-0 up. Pegged back by a Vipers penalty, Olney were soon over the line again, this time James Brock scoring. Hawken’s extras made it 14-3. 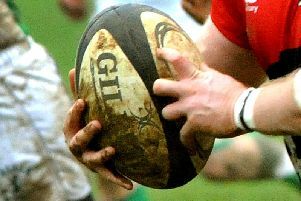 Olney would run in two more tries before half time, from Phil Bowden and Will Durden, while Hawken’s 100 per cent record made it 28-3 at the interval. There were no scores in the opening 20 minutes of the second half, but Vipers pulled one back to make it 28-10, though it only opened the floodgates. Soon after Vipers scored again, but Olney replied straight away with a try from Sutton to make it 36-15. Vipers scored their third try, but with the clock running down, Olney winger Phil Bowden, who outstripped the defence caught unawares, to score and complete the rout at 40-21.